NEW! Perfect product to promote your business. 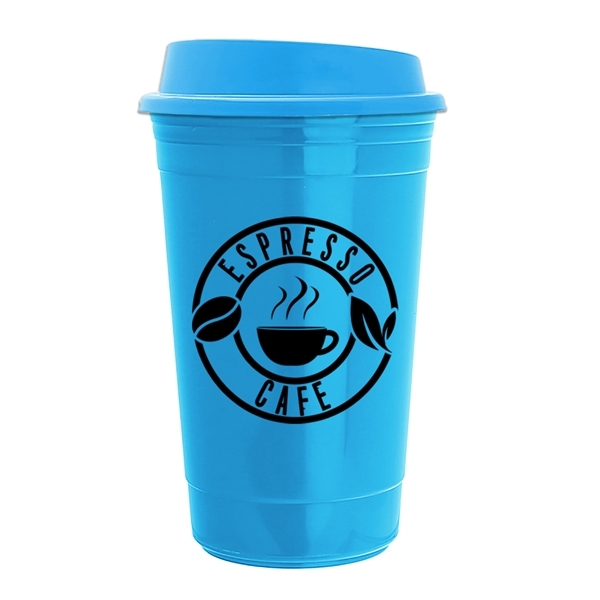 14 oz insulated travel auto mug available in wide selection of colors, BPA free and made in the USA, features a sleek non handle design and a double wall insulation to keep your favorite drinks hot. Fits most auto cup holders, is top rack dishwasher safe and is not recommended for use in a microwave oven. Ships assembled. Full color digital imprint available. Multi-color imprint available; 1 side only. Multi-color imprint available 1 side only.